A great looking 3D Blackjack version with nice a nice voice. You can play 3 hands at a time. 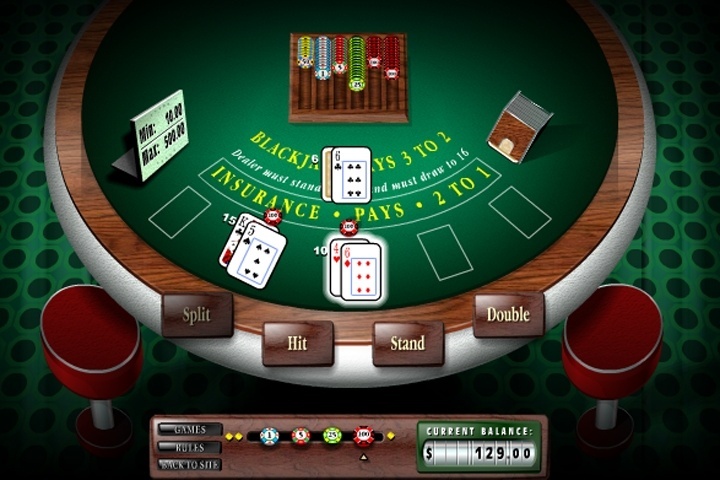 Blackjack, also known as twenty-one or Pontoon, is one of the most popular casino card games in the world. Place a bet and play against the computer in this well-known casino game! If you want to play Blackjack 3D 2000 games online you have come to the right place! GamesLoon adds new Blackjack 3D 2000 games every week. This is your game portal where you can find the biggest collection of free Blackjack 3D 2000 games online. Do not forget to rate our Blackjack 3D 2000 free online games while playing!